"The Swim Pro fit the bill perfectly-I wanted my daughter to be more comfortable in the water and have the beginnings of some skills as opposed to just singing songs and splashing." ~Brandi S.
Ian joins The Swim Pro team with a wealth of competitive, coaching, and teaching experience. Ian swam for Santa Clara Swim Club and The University of Arizona and holds a number of accolades including qualifying for and participating in the Olympic Trials in 2012 and 2016. As a swim instructor, Ian has worked with with swimmers of all ages and ability levels, from toddlers experiencing the joys of swimming for the first time to adults with water based fears to higher level swimmers looking to fine tune their swimming abilities. Ian possesses a calm, confident teaching style that is sure to appeal to anyone hoping to meet their swimming goals! 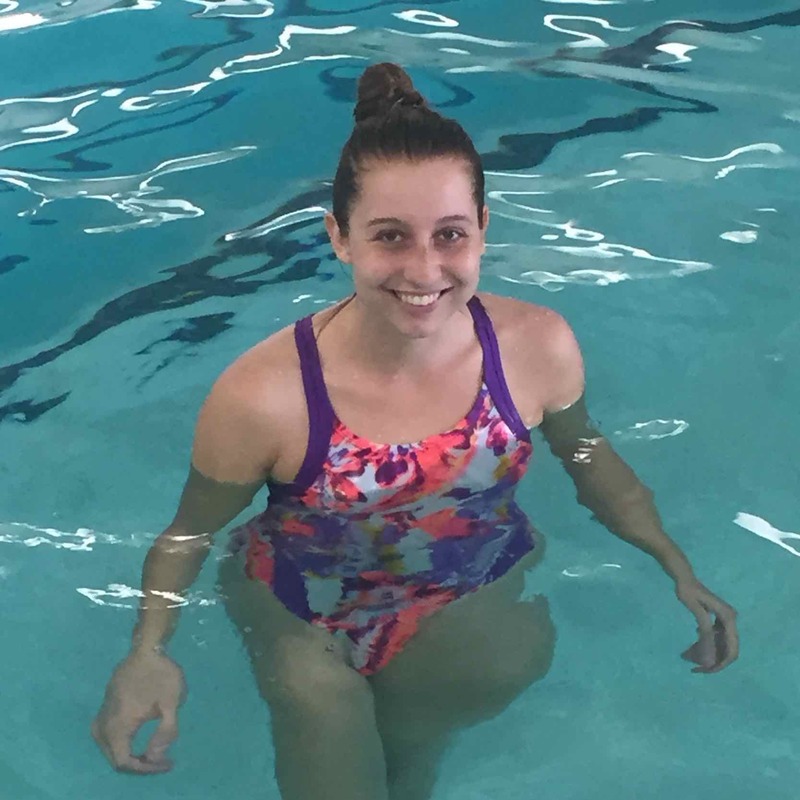 Raquel brings years of instructor experience as well as her competitive swimming to The Swim Pro. She takes pride in introducing young children to the world of swimming and making the water a fun place to be while helping them overcome their fears. She skillfully uses her competitive swimming background to aid advanced swimmers refine their technique. In her spare time, Raquel serves as a volunteer in various capacities working with youth in sports or child care. In addition to swimming, Raquel played basketball at the high school level. Raquel is presently studying Sociology at DeAnza College and hopes to enter the world of educational policy in the future. Whether you’re just starting out in the water or looking to refine advanced techniques you can achieve your swimming goals with Raquel! With over 8 years experience as a competitive swimmer, including 4 years competing at Junior Olympics and Far Westerns level, Esma passionately and enthusiastically extends this knowledge to her students. When her competitive swimming career ended with an injury, she became inspired to teach others. In the water, Esma is professional, yet down to earth and immediately gains the trust of her students. Esma is driven to ensure the safety and success of every student from competitive to beginner level using her training in water safety and The Swim Pro Adult Method. Laura brings 20 years of swimming experience and 5 years teaching experience to The Swim Pro. Laura uses her degree in Psychology to help people understand and conquer their fears. Her combined knowledge of the human mind and The Swim Pro teaching methods make her an excellent instructor! Over and over her clients describe her as instrumental in helping them finally learn to swim. Laura would love to give everyone the chance to fall in love with swimming. For nearly 20 years Nate has been enriching lives through multi-disciplinary tutoring, counseling, mentoring, coaching and is working on his Teaching Credential. Nate combines these skills with over 15 years of swim instruction wisdom to bring The Swim Pro Students a rich learning experience! Nate can quickly improve technique and incorporates games to enhance learning. Using The Swim Pro Adult Training Methods developed by Owner/Instructor Kelly McPhail, learning to swim as an Adult is an easy goal to attain. Nate’s expertise in Advanced Stroke Development is valuable in preparing his students for competitive swimming. Mendy has 8 years of experience as a marketing project manager in the high tech industry. She brings her passion for working with people and organizing complex schedules to The Swim Pro. Mendy, herself, had fear of water as an adult and learned to swim with the help of The Swim Pro. Now she takes pride in being part of the team that helped her overcome her challenges with water. She also has two young boys learning how to swim at The Swim Pro. Since 1994 Kelly has been teaching swimming to adults and children and has a reputation for being able to teach anyone to swim. A strong desire to teach the “unteachable” and a lot of faith led her to start The Swim Pro in 2006. Her background includes a degree in Psychology and Behavior Modification training, which she uses to help people conquer their fear of water. Kelly developed her own unique teaching method that has been proven 100% successful in taking non-swimming Adults and turning them into efficient swimmers. She has since certified many instructors in The Swim Pro Method for teaching Adults. Kelly believes it is never too late to learn to swim! Copyright © 2011-2017 · All Rights Reserved · The Swim Pro, Inc.